To be a candidate for dental implant surgery, patients should be in generally good health and not have any conditions that may affect their ability to heal properly. What many people may not realize is that smoking can also complicate the healing process. 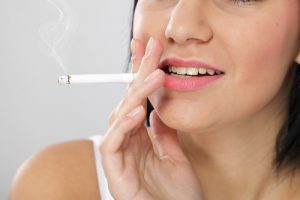 More specifically, smoking can make good oral hygiene difficult to maintain, increase the risk of infection, slow the healing process, and even weaken bone structure. That’s why refraining from smoking before and especially after undergoing dental implant surgery is crucial for long-term success. Research has shown that smokers are at a higher risk of dental implant failure compared to those who do not smoke. One study, in particular, looked at 66 implant patients over the course of five years. The failure rate of those who smoked was 15.8%, while the rate for those who refrained from smoking was only 1.4%. This goes to show that if you have dental implants, it’s in your best interest to quit smoking to ensure the investment you make in your teeth and oral health is worth it. Our implant dentist, Dr. Jordan Slagter, priorities patient safety above all else, which is why she encourages patients to cease smoking prior to their dental implant surgery. By doing so, she says they’re being proactive in protecting their long-term health and lowering their risk of possible complications. 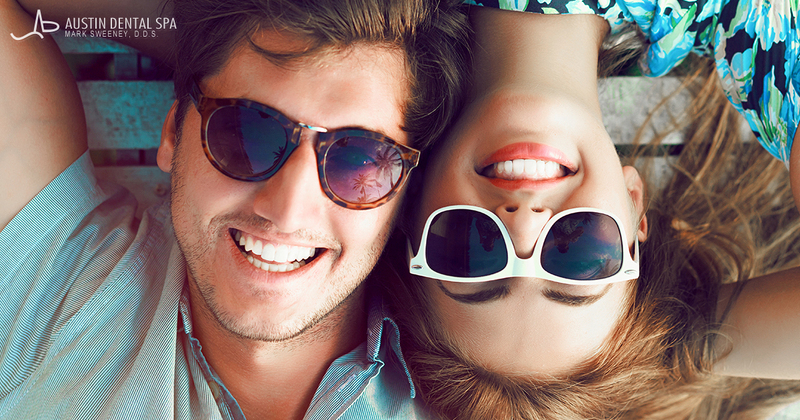 Porcelain crowns and veneers are two popular dental restorations that can address a lot of the same concerns. Both options can be made using a natural-looking porcelain material, helping restore the look of your smile with durable results. Each restoration, however, is intended for a different purpose. Porcelain veneers are placed over the front of the teeth, acting as a “shell” that conceals imperfections, such as chips, cracks, stains, gaps, and mild misalignment. By covering up these common tooth concerns, patients can improve how their teeth look. This is why veneers are considered a cosmetic treatment, since the primary goal is to enhance a patient’s smile appearance. Dental crowns completely cover the affected teeth, which is why they are often called “caps.” This restoration is designed to strengthen a tooth that has been damaged, such as by decay or injury. By covering a weak or broken tooth, patients can restore its size, shape, and strength. Although crowns can definitely improve the look of a patient’s smile, they are typically recommended for functional reasons. To learn which restoration is better for your dental needs, feel free to contact Austin Dental Spa to schedule an appointment with Dr. Sweeney or Dr. Slagter. How Much do Porcelain Dental Veneers Typically Cost? If you are concerned about issues such as stains, chips, gaps, or mild teeth misalignment, porcelain dental veneers can often be a great way to improve those common conditions. Composed of a durable ceramic material, these thin shells are custom-designed to fit over the visible portion of the affected teeth. The veneers are color-tinted to match the natural shade of surrounding teeth, and the results can last for decades with the proper care. The cost of porcelain veneer treatment is dependent upon a number of factors. Since the procedure is customized for each individual’s needs, the overall price varies among each patient. The number of porcelain veneers necessary to meet your needs, as well as the degree of tooth preparation required to accommodate each veneer, are some of the variables that will go into determining the price of treatment. Once Dr. Mark Sweeney or Dr. Jordan Slagter has evaluated your teeth and talked with you about your options, we can provide you with an estimate of the expected costs. A member of our team will be happy to go over this with you before you ultimately decide to have the treatment. At Austin Dental Spa, we want to make the price of dental treatment as affordable and convenient as possible. Our practice accepts a variety of payment methods, and we work with CareCredit® – a healthcare financing company that offers qualified applicants a way to finance dental treatments with flexible, low-interest payment plans. Porcelain veneers can improve a number of aesthetic and functional dental imperfections with beautiful, natural-looking results. If you have questions about costs associated with porcelain veneers, or if you would like to schedule an appointment here at Austin Dental Spa, please contact us today. Dental implants are a wonderful alternative for people with one or more missing teeth. Dental implants consist of a titanium screw that is anchored to your jaw bone and covered with a crown once healing time is complete. Dentures are a set of false teeth that slip into the mouth and are removable. When compared to dental implants, dentures may slip while in your mouth, making it difficult to speak or chew. Dental implants are permanently anchored into your bone structure and are crafted for an ideal look, feel and fit. In some cases, dental implants are used in conjunction with a partial denture. 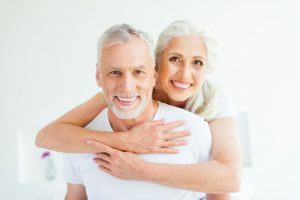 When considering dental implants, your dentist will evaluate your existing bone structure to ensure that your bone structure can support the dental implant. If you are a candidate for dental implants, your dentist will make an impression of your teeth to ensure the right feel and fit of your dental implant. Then, the titanium screw will be anchored into your jaw bone and a temporary cap will be placed over the screw. Next, the osseointegration process (healing) begins which may take up to six months. After the osseointegration process is complete, the temporary cap will be removed and a permanent crown will be placed over the screw. In the end, you will have a beautiful, life like tooth restoration from dental implants. Perhaps, you’ve thought that you are on track with your oral health because you stay away from sugary drinks. Of course, it is true that the acidity in sugary drinks is a major cause for tooth decay. So, to some degree, you are on track. Yet, a high calorie low nutritious diet can lead to infections in the mouth which can lead to gum disease, a leading cause for tooth loss. The U.S. Department of Agriculture indicates that half of your meals should be comprised of fruits and vegetables and the rest should be equally divided between lean protein, whole grains, and low-fat dairy. A healthy diet is also not only good for your oral health, it is good for your body and mind. When people eat healthy, they tend to look and feel better. So, a healthy diet is a major call to order for all people- young and old. It is important to note that dietary requirements change over the course of your lifetime. So, it’s wise to check in with your physician and your dentist about your special dietary requirements. Your dentistry plan may include tooth restorations to maintain oral health, such as, dental fillings or crowns. Your dentistry plan may also include cosmetic dentistry procedures, such as, tooth whitening, cosmetic dental bonding, dental veneers and dental implants. Alcohol abuse can cause mouth cancer and other dental diseases, according to a recent report published by the Royal College of Surgeon’s Dental Journal. As such, dentists have been encouraged to screen for mouth cancer and other dental diseases linked to alcohol abuse. In fact, since people only tend to see their primary care physician when they are sick, but see dentists every six months for regular cleanings, dentists are in a better position to screen and treat dental diseases related to alcohol abuse. If dentists inquire about alcohol consumption during regular exams, they may have the opportunity to reduce the risk of getting mouth cancer and dental disease. In fact, some dentists use advanced technology to identify mouth cancer at a very early stage. Identifying cancer at an early stage is associated with the greatest survival rate. Cancer of the mouth may affect the larynx and esophagus as well. Since dentist may be the first to notice mouth cancer symptoms, they are likely the first to be able to notice harmful alcohol abuse. Thus, a screening tool would be helpful in preventing cancer and treating cancer successfully. The report noted that roughly 1 in 5 men and 1 in 7 women in the UK tend to drink excessively. The report went on to suggest that dentists who encourage moderation in drinking are able to help lift the social, economic and heath burdens associated with alcohol abuse.